A whopping 17 years after it's initial release, Disney's The Lion King returns to the big screen in dazzling 3D; though some will see this as a lame cash grab, others (the sensible ones) will see it as a golden chance to relive a timeless classic. But no matter where your ideologies lie, it's hard to deny the films pure excellence even to this day. 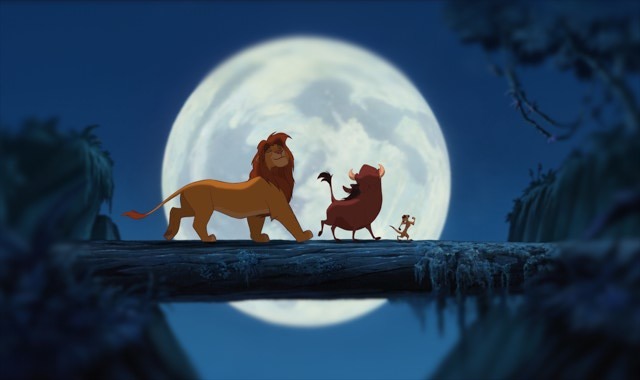 A story inspired by Hamlet ties together the beautiful animation and jubiliant musical sequences; in a kingdom of anthropomorphic animals in Africa, we meet young cub Simba (Jonathan Taylor Thomas/Matthew Broderick) who is destined to take the throne of Pride Rock. However, when his father Mufasa (James Earl Jones) is killed and he himself exiled, he seeks to run from his past through Hakuna Matata (no worries! ), taught by new friends Timon (Nathan Lane) and Pumba (Ernie Sabella). But when his past soon catches up with him, he realizes that running is no longer an option and that he must confront his sadistic uncle Scar (Jeremy Irons) to take back his rightful throne; thus cementing his place in the Circle of Life. The film shows no signs of age even 17 years on; the well paced plot of love, bravery and friendship still exudes a variety of emotion and laughter, the latter stemming mainly from lovable sidekicks Timon and Pumba, and the cast of characters is just as memorable as any other Disney classic. 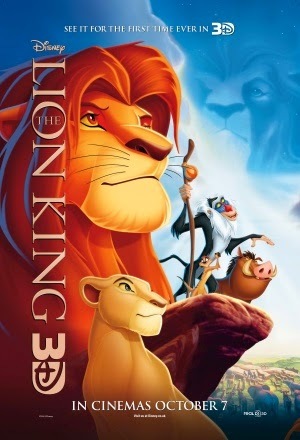 It's also great to look at, boasting rich and beautiful animation with eye popping colours and dazzling scenery; this accompanied by a truly fantastic musical score by Hans Zimmer and an equally jubilant array of songs by Elton John and Tim Rice already gives The Lion King enough reason to be loved. In 3D, the film lacks some of it's vibrancy, though you'll be surprised how well a 2D animated film translates to 3D graphics. It doesn't detract from the experience nor does it truly enhance it, but you'll notice times where the 3D definitely conjures some amusing visual effects. The cast? Brilliant. Matthew Broderick, Jeremy Irons, James Earl Jones, Rowan Atkinson, Nathan Lane and Ernie Sabella all play their respective characters flawlessly, establishing their unique and charming personalities with ease. It's not commonplace to see a Disney film with mediocre voice performances, and The Lion King certainly doesn't break this convention. There's much to love about this timeless classic, whether it's the gorgeous visuals, memorable music or lovable characters. For Disney fans of any breed, The Lion King 3D is a rerelease you simply cannot miss.